The comet, now designated C/1652 Y1, is currently in Hercules, slightly over 282 AU from the Earth. Partly because Cape Town was easily accessible to northern hemisphere astronomers, the Royal Observatory at the Cape of Good Hope dominated early South African astronomy. It was established in 1820 and was the first permanent astronomical observatory in the southern hemisphere. From 1834 to 1838 Sir John Herschel worked at his private observatory in what is now Claremont, Cape Town, where his search for star clusters, nebulae and double stars was extended to the south, thereby completing the work his father, Sir William Herschel, had begun in the northern hemisphere. 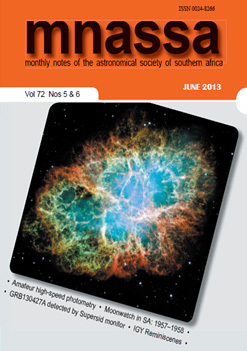 In later years, the excellent observing conditions on the Highveld were exploited and other major observatories were established. The Natal Observatory was founded in Durban for the 1882 transit of Venus with Nevill (alias Edmund Nieson) as astronomer. A small transit circle was used to provide a public time service. The observatory was closed in 1911. In 1903 the Transvaal Meteorological Department, from which the Republic Observatory later developed, was created, and R T A Innes, then Secretary and Librarian of the Royal Observatory, was appointed as its first director. By the 1920s, South Africa’s reputation as a choice observing location was known internationally. With strong support from the Union Government, foreign institutions established southern stations here. These institutions were Yale (Johannesburg), Harvard (Boyden at Bloemfontein), Radcliffe (Pretoria), Michigan (Lamont-Hussey at Bloemfontein) and Leiden (Hartebeespoort). Many astronomers with worthwhile programmes were therefore able to work with great efficiency and produce data of very high quality. Indeed, some of the large-scale fundamental photometric and spectroscopic programmes completed at the Cape and Radcliffe Observatories have no counterparts in the northern hemisphere. In 1961 South Africa became a republic and as a result of the policy of apartheid, sanctions were imposed. After apartheid, the international scientific community is once again investing in our premier night skies. 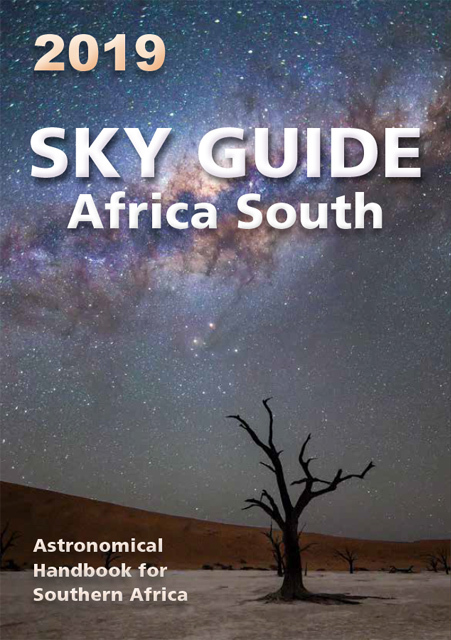 The most exciting post-sanction infusion into southern African astronomy is the Southern African Large Telescope (SALT) at Sutherland. A project that will dwarf SALT in scope and financial investment is the Square Kilometre Array (SKA), which is a shared project between South Africa (~70%) and Australia (~30%). We are in a prime position to observe the stars, but one must never accept that our dark skies are a permanent advantage: it will involve foresight, support and political will to keep the sky dark and free of radio interference.